Sue with Sunfield Ladys Man at Devon in the Hunter Hack Combination class. 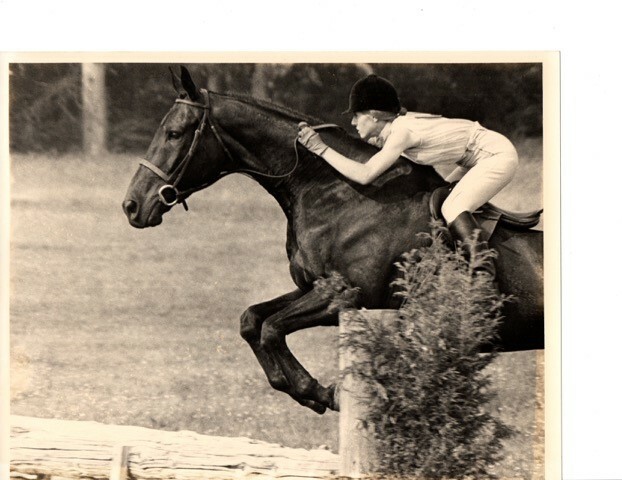 “This was just before we changed from harness to riding tack — we were about to win our first blue ribbon at Devon!” Sue said. When Sue was a teenager, the family moved to Salem County, New Jersey, a rural area characterized by farms and open land. 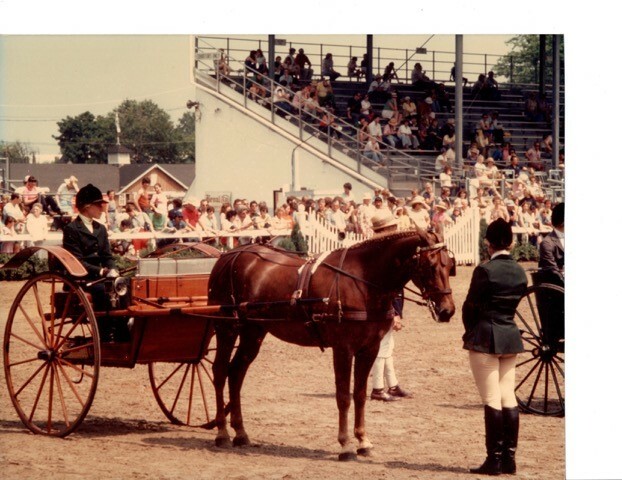 She was able to continue riding in a more structured program while still at the 4-H level. When Sue was in her early 20s, she had a wonderful Morgan, Sunfield Ladys Man. Though she said she didn’t know any better, she did know he was a versatile horse. 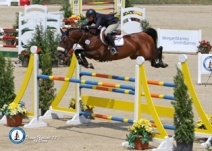 She competed hunters, jumpers and driving with him and finally entered him in a hunter hack class — at Devon. She drove in, lined up, changed from harness to riding tack and did a hunter hack with two jumps — and won. “When you’re 20-something, winning the class at Devon was a big deal, but I didn’t realize how big!” she said. She won the Challenge Trophy, took him back, won it two more times and retired the trophy. The next year, they won the blue again. 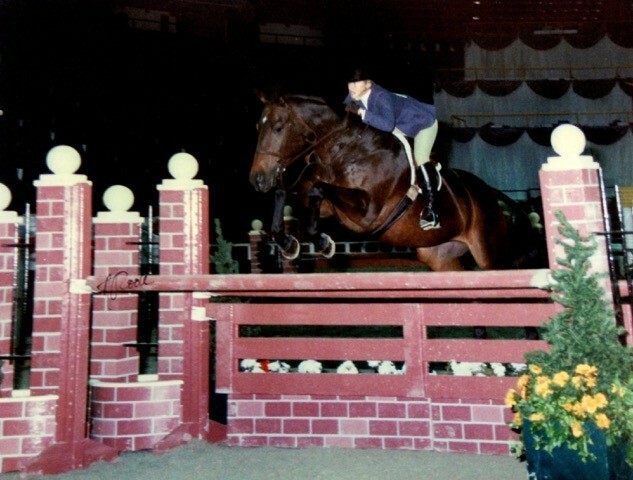 Sue winning a section of Local Hunter Stake at Devon (around 2000) on EvRy Golden Moment, owned by EvRy Farm of Mt.Laurel, New Jersey. Sue credits much of her success to the people with whom she has worked and who have mentored her over the years. Her friendship and involvement with Patty Heuckeroth was especially important. The relationship, which started with Sue “admiring her from afar,” moved to a mentoring relationship and finally to a close personal and professional friendship. Sue has also worked with Anne Kurzinski, Louise Serio, Mary Wade Gilbert and Mary Warner Brown — all of whom made valuable contributions to her career. 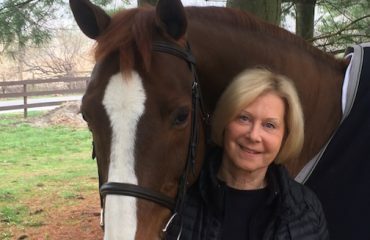 Along with Lizzie Merryman and Penny Woolie, Sue got a committee together, pulled together a horse show, and with “tons of entries,” they were well on their way to reaching their goal of helping to educate riders to train OTTBs and help them successfully move forward to a second career. Sue focuses her efforts on the show itself, creating a family-oriented atmosphere. 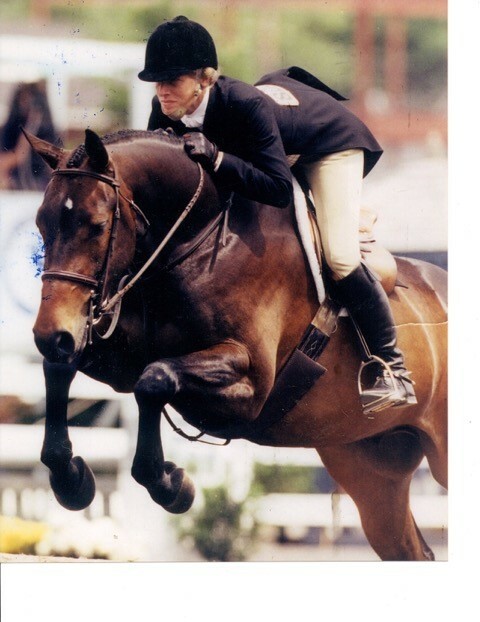 The non-profit Fair Hill Thoroughbred Horse Show held the fifth annual show in September 2016 and, with the help of generous sponsors, was able to provide substantial prize money, five grants to owners of Thoroughbreds and a free clinic with Olympian Joe Fargis for 15 show competitors selected at random. Would she advise others to follow her path? “I’d tell young people today to finish college,” she said. “I was so enamored by the whole horse thing that I left after just a year at Purdue.” But no regrets. For more information about the Fair Hill Thoroughbred Show, visit www.fairhillthoroughbredshow.com. 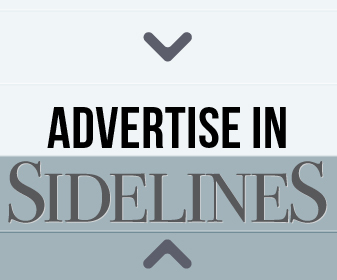 To learn more about Sue, visit www.suesiscosunfield.com.